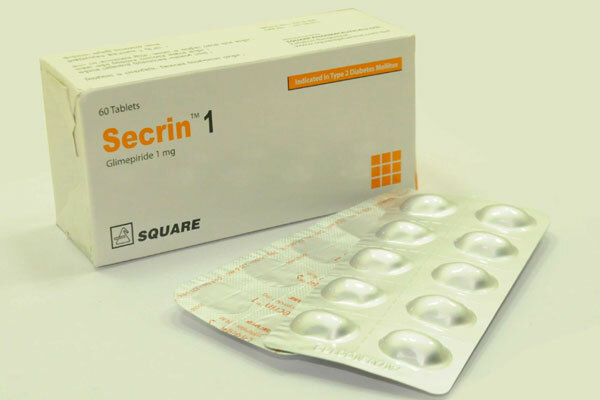 Secrin® is indicated as an adjunct to diet and exercise to lower blood glucose in patients with noninsulin-dependant (type 2) diabetes mellitus (NIDDM). 1 mg once daily. If necessary, the daily dose can be increased. Any increase can be based on regular blood sugar monitoring, and should be gradual. The maximum starting dose of Secrin® should be no more than 2 mg. Usual maintenance dose: The usual maintenance dose is 1 to 4 mg once daily. The maximum recommended dose is 8 mg once daily. Secrin®1 Tablet: Each box contains 60 tablets in blister pack. 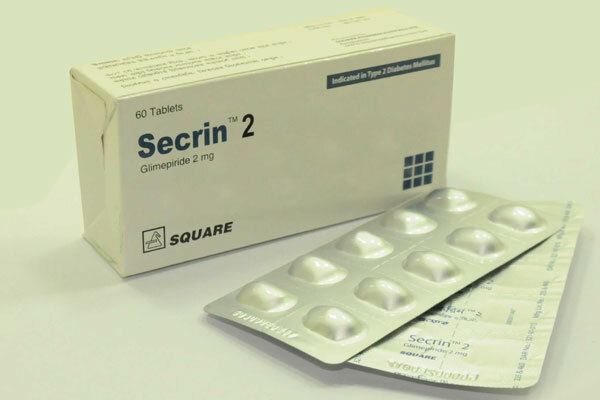 Secrin®2 Tablet: Each box contains 60 tablets in blister pack. 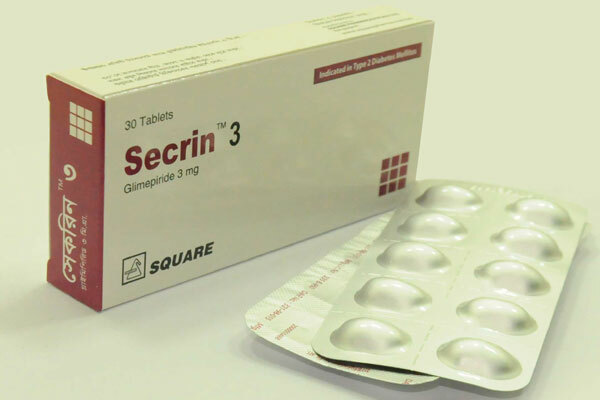 Secrin®3 Tablet: Each box contains 30 tablets in blister pack. 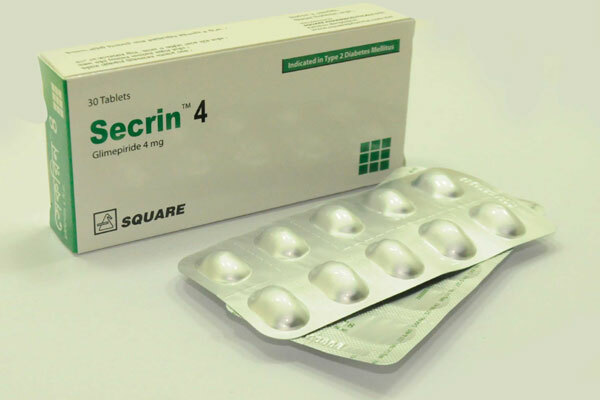 Secrin®4 Tablet: Each box contains 30 tablets in blister pack.